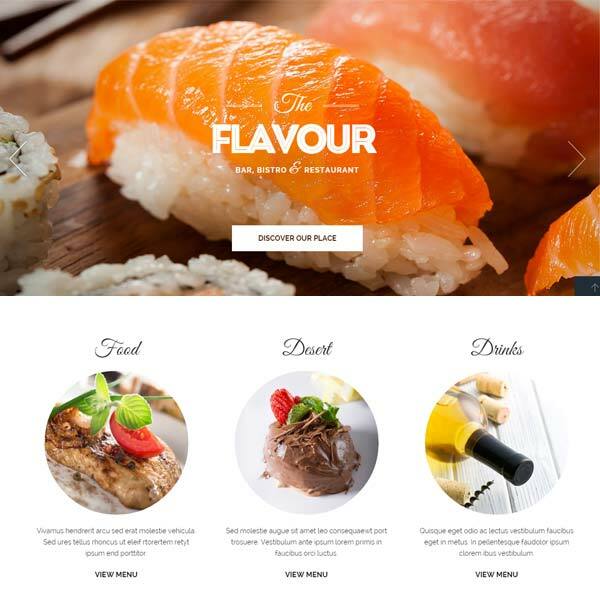 This is one of the modern look WordPress themes suitable for restaurants. It will definitely help you to build a strong presence in online. It comes with features like responsive design, animated HTML5 slider, retina display etc. One of the attractive features is change colors with ease; you can modify the highlight color with a single click. You can do that directly from the WordPress interface, by using a simple color picker and all instances of that color will be changed across the site. Besides the regular default blog pages, The Flavor comes with a bunch of built in page layouts for you to use, From Food Menus and Reservations to Events and Contact.